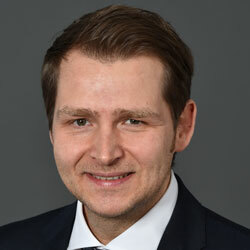 Andreas Biß joined NEC Display Solutions Europe in January 2016 as the Manager of the newly created Business Development Solutions Department. He is responsible for developing and executing an integrated long-term solutions and partner strategy, aiming to establish and provide the best on-market selection of partner solutions, hardware and software products, services, and peripherals around any NEC Display. From desktop monitor, large format displays to video wall and direct view LED installations, no matter what technology in which market vertical to use, there is always a NEC Solutions. Before joining NEC, Biß worked with Sharp Visual Solutions Europe, Sharp Electronic Devices as well as Infineon and Siemens Semiconductor in various global and european marketing, product and production management positions. With more than 28 years’ experience in the electronic industry, he has proven that he has found his true profession.